My son just had to have one of these, so here it is. That is awesome! I love it! The colors you chose work so well here. Great job. Now that is just too cute! My grandsons would love one of those. Great job! This made me smile! Great gift idea! 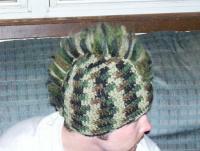 :lol But it is a great hat..I can see why! That's so cute! 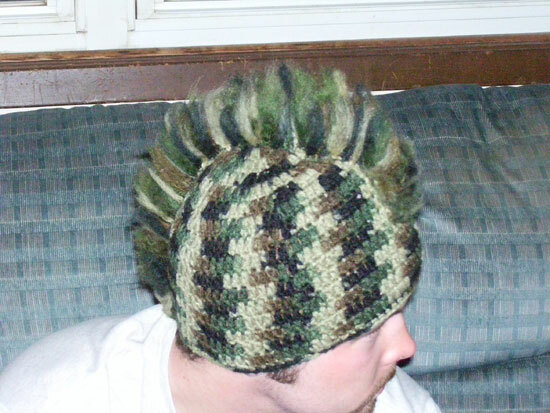 Might have to see if I can find a pattern for this one for my husband, and maybe one after our little boy is born.